Treasure Garden has patio furniture covers to fit the smallest to the largest patio tables. 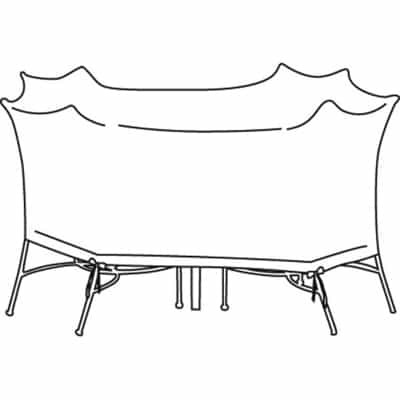 This X-Large Oval/Rectangle Patio Furniture Cover is constructed of special Rhinoweave fabric which is designed to help you protect your investment against the elements. It is water resistant yet breathable, and it will keep your X-Large table free from dirt and debris. 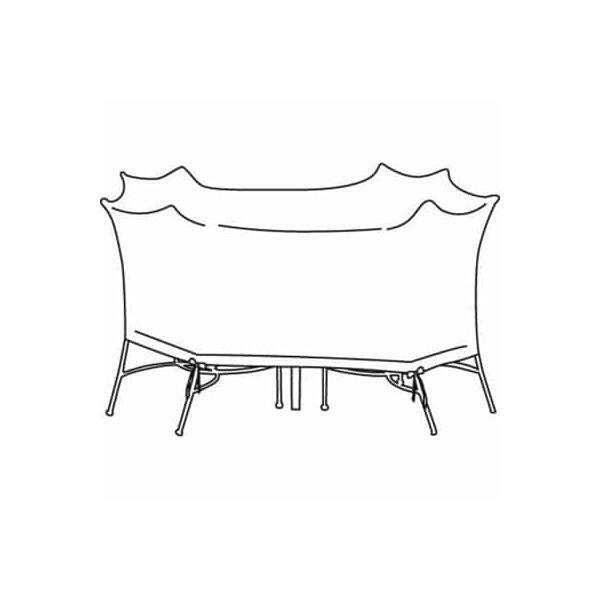 The outdoor patio cover comes in a lovely champagne color which will go with any outdoor décor, and has eight ties to hold it firmly in place. This patio furniture cover has no umbrella hole.